Boom Cloud 360 is an American company that manufactures and sells a device to make headphones sound better. Their invention, the Boomstick, has changed the way you listen to music on headphones and amplified the experience for optimum enjoyment. With Big Apple Buddy’s personal shopping service, you can now buy direct from the Boom Cloud 360 online store anytime, anywhere. Listen like never before! 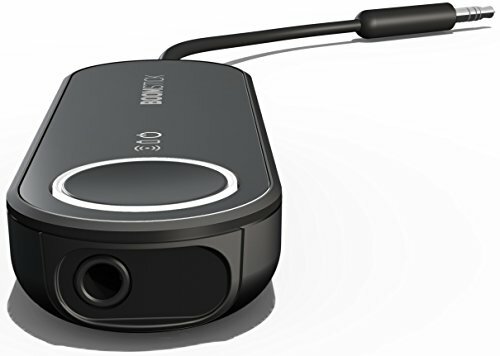 The BoomCloud 360's Boomstick is a revolutionary addition to your headset as it gives it that boom! that's always been missing. No matter what device you have, this device supercharges the sound so you never have to buy overpriced headphones ever again. The audio is clearer, louder, and deeper with the added bass that never seems to overpower the original sound. 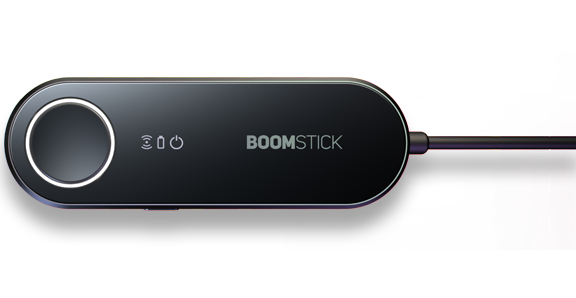 The Boomstick is extremely easy to set up so you don't have to wait a long time to get the best audio possible. It acts as a bridge between your headphones and your music device so you can take it anywhere. Don't worry about the battery either! One charge can last up to 14 hours so the party never stops. 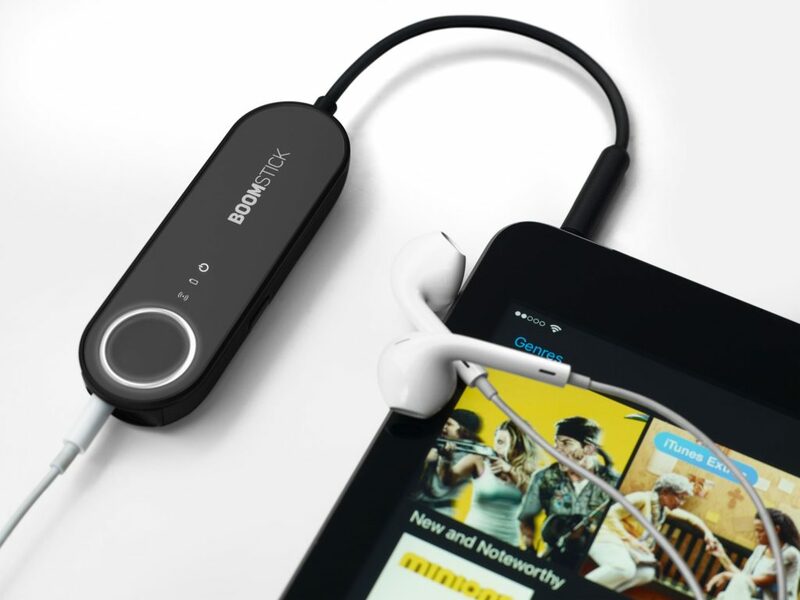 The Boomstick is not just for headphones, any device with a 3.5mm jack including desktop speakers and AUX port in cars. The BoomCloud 360's Boomstick is a tiny headphone amplifier that can transform your music device into a powerful sound system. By just double-tapping the single button on the Boomstick, you'll immediately feel the difference with a stronger bass and surround system right at your fingertips. Whether you're listening music, watching a movie, or sharing with a friend, amplifier gets the job done. Unfortunately, the USA Boom Cloud 360 online store does not currently offer international shipping. However, Big Apple Buddy, your personal shopper, can help you buy products direct from the official USA Boom Cloud 360 online store and ship them to your doorstep, no matter where you are in the world. We offer international shipping to over 110 countries including Australia, Austria, Azerbaijan, Bahrain, Belgium, British Virgin Islands, Brunei, Bulgaria, Canada, Chile, Costa Rica, Croatia, Czech Republic, Denmark, Estonia, Fiji, Finland, France, French Polynesia, Germany, Gibraltar, Greece, Greenland, Hong Kong, Hungary, Iceland, Indonesia, Ireland, Israel, Italy, Japan, Jordan, Kuwait, Latvia, Liechtenstein, Lithuania, Luxembourg, Macau, Malaysia, Maldives, Malta, Marshall Islands, Mauritius, Monaco, the Netherlands, Netherland Antilles, New Zealand, Norway, Oman, Poland, Qatar, Romania, San Marino, Saudi Arabia, Serbia and Montenegro, Seychelles, Singapore, Slovak Republic, Slovenia, Spain, South Africa, St. Lucia, Sweden, Switzerland, Taiwan, Thailand, the UAE, the UK, Vatican City, and Vietnam. If you would like to buy from the USA Boom Cloud 360 online store, simply let us know which items you would like to order (by filling out the form below) and we’ll get back to you with a free international shipping quote within 24 hours!